Unity Church and Above Every Name members, pledging friends, staff, current participants, and youth in Religious Education or Tower Club, or youth of members and pledging friends. Note: All submissions must be original and owned by the contributor. We accept previously published works, but the contributor must hold the copyright. • Label the file with your name and the title of the work. • For text documents, put your name and/or title on each page. • MS Word or other word processing program file is preferred (not a pdf). • JPG is the preferred format (other file types are accepted). • 300 dpi resolution is required. Place in an envelope or wrapper and label with your name and the title of the work. With art, note whether you are submitting a copy or an original work. Work will be scanned or photographed to prepare for publication. Note: Cairns pages are prepared in a consistent style, format, and font; art and text will be resized and/or reformatted to fit a Cairns page. Each contributor is assigned an editor who is responsible for copyediting and communicating with the contributor. All Cairns editors review all submissions. Editors will contact contributors to inform them of decisions regarding their submissions. 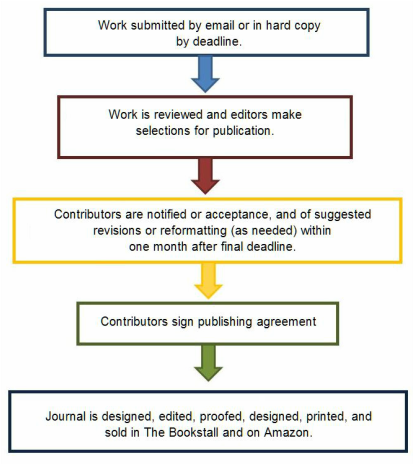 If your work is accepted for publication, you must sign a standard publishing agreement giving Unity Church the rights to publish the work before the issue is printed. Unity Church does not own and may not resell your work. The authors and artists retain copyright of their work. Now available at the Bookstall!